Made with soft goat hair on a long flat handle. 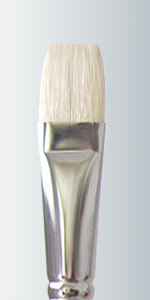 This short hair flat brush is wonderful for softening the finish and for blending paint. Used in all mediums. 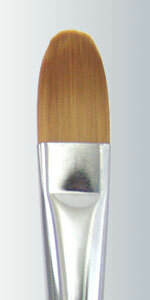 This long handled brush is preferred by canvas painters. This style is wonderful for all of your painting needs from florals to landscapes. Used in all mediums. 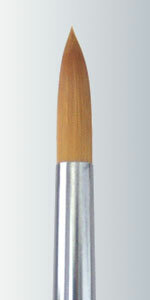 This Long Handle Round brush is preferred by canvas painters. It has an excellent point and resilience. Its spring allows for the follow through on all of your strokes. Smaller sizes are very good spotters. Used in all mediums. This stiff bristle Fan is used to make trees, grass, landscapes, and other items with texture. 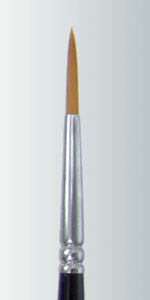 Also used to apply satin matte and crystaltone glazes. Most popular with Canvas Oil Painters. Used in all mediums. 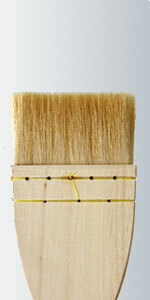 This long handle bristle brush is perfect for painting on canvas. 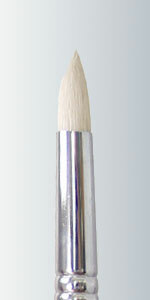 This is a favorite for dry brushing, scumbling, and blending. Made of Chunking Hog Bristle. 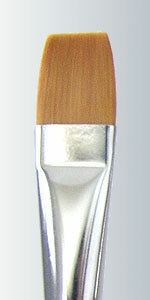 This long handle brush is used for painting on canvas. Used for making trees, textures and other items. Used in all mediums. Made with Chunking Hog Bristle. 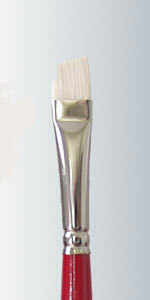 Long Handle Angle is used on canvas. 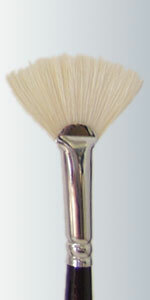 Also called the "rose brush". 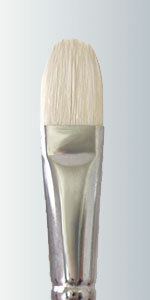 Used for painting, floating, blending and strokes. Used in all mediums. Made with top quality Golden Taklon synthetic nylon. 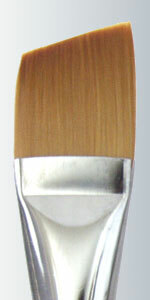 This Long Handle Flat is preferred for use on canvas. This Flat is used for painting and blending in all mediums. Made with top quality Golden Taklon synthetic nylon.